Happiness cannot describe the joy here. 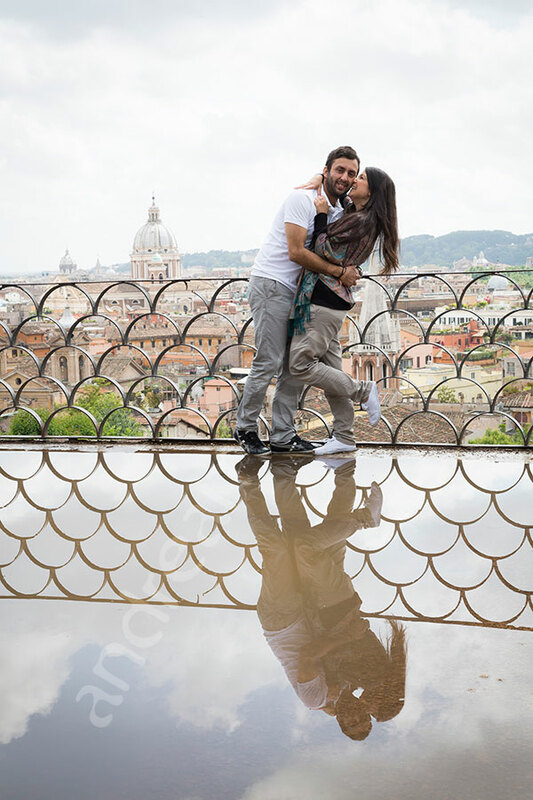 And I am so happy to have photographed this wonderful surprise wedding proposal in Rome. But let’s start from the beginning. We met just outside Villa Borghese and after a quick hint, we were on the right track heading together to the park. But without her knowing! We passed by the small lake with row boats hoping it to be open. 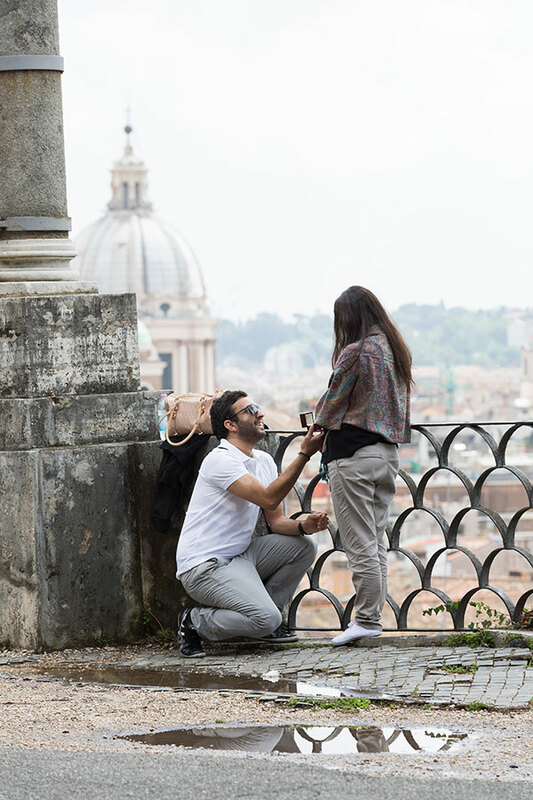 But it wasn’t and so we continued walking towards the Pincian hill with the intent of having the proposal done in front of the beautiful roman skyline. It was a little crowded at first and hard to find a secluded spot. But I did not mention the help of my assistant and second photographer Sandro which I would like to thank for providing different angle view photos. The proposal came out well with a great surprise. Such wonderful joy. 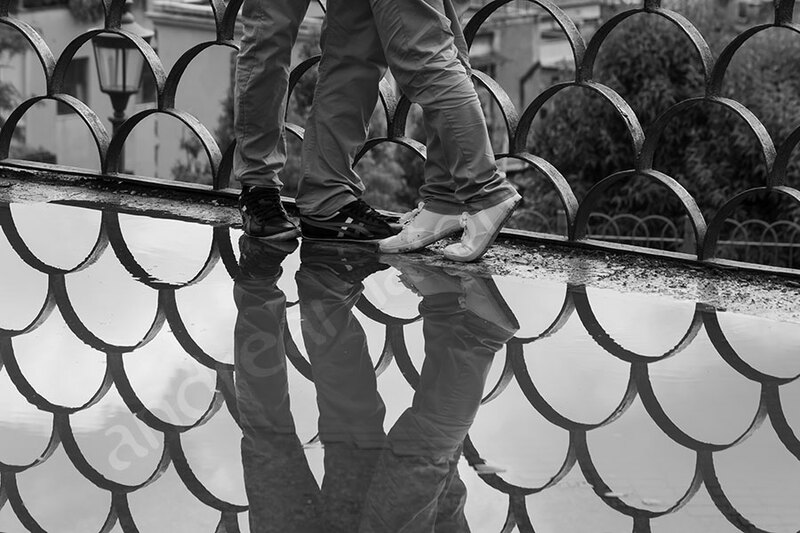 We continued on afterwards with more engagement style photography at Parco del Pincio overlooking Piazza del Popolo. What a great day to remember! Congratulations! 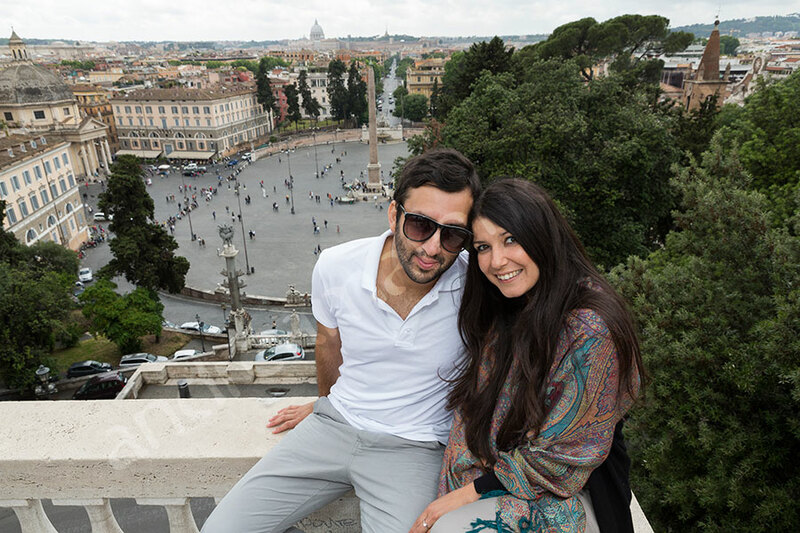 From the Trevi fountain to the Roman Appian way and the Ancient aqueduct on an off the beaten track proposal. 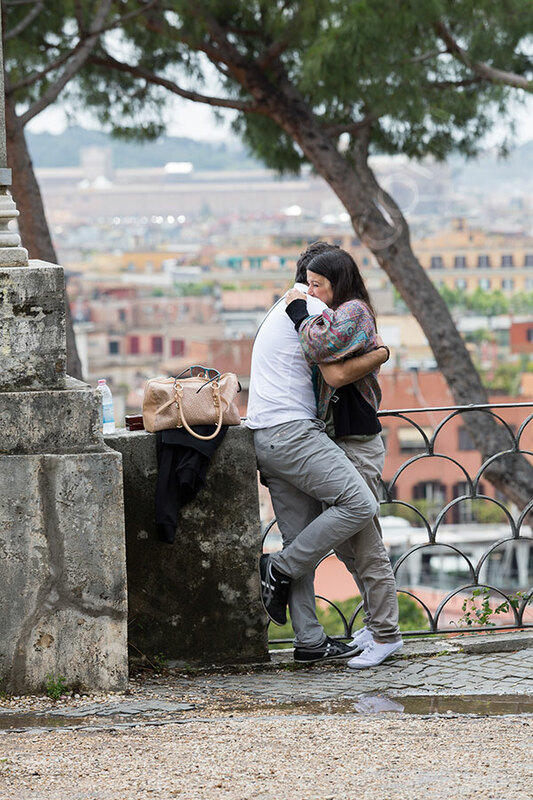 A marriage proposal photographed in secret on the terrace view of Parco del Pincio near the Villa Borghese park.